In the fifth republic of media attention is still focused on the fugitive oligarch Mukhtar Ablyazov from Asia, accused in several high-profile crimes. “It’s an argument that is rarely used in these contexts,” his lawyer Bruno Rebstock told RFI . “So when the judge says, as a first argument, that it was sensitive to the question of Mr Ablyazov’s security it’s clear that his safety must be protected – protected against those who are threatening it ”. The lawyer asked to let him go free under a large cash deposit. Protection even agreed to wear an electronic bracelet. However, the court rejected a French request for release from detention, preferring to watch the presentation to end. The court in the southern French city of Aix-en-Provence ruled that Ablyazov must stay in jail for his own safety. But there is another interpretation of events: the court found insufficient assurance that M. Ablyazov, if released, will not leave the territory of France. It is known that the oligarch lost all claims and today is the foreclosure process property. However, many companies are decorated on straw men, and where he is hiding Abliyazov until recently it was not known. The court in the southern French city of Aix-en-Provence ruled that Ablyazov must stay in jail for his own safety. Ablyazov has been in detention since 31 July when he was arrested at his home near Cannes, on the French riviera. He is accused of embezzling up to 4.5 billion euros from the Kazakh bank BTA, which he ran until 2009 when it was nationalised, but he claims the accusation is politically motivated. In 2002, he was sentenced to 6 years on charges of forming a criminal group, abuse of office and illegal business activities. 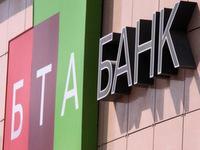 Kazhakstan, along with Russia and Ukraine, where BTA has subsidiaries, brought fraud charges against him in 2009. Ablyazov, who founded an opposition party, denies he defrauded the bank and says the charges are politically motivated. Ablyazov refusing to release from custody, the court of France in fact expressed their distrust of him, which threatens serious consequences for him. France has no extradition treaty with Kazakhstan. Russia formally asked for his extradition and Ukraine has until 10 September to do so. A French prosecutor says France is likely to consider Ukraine’s request because the Russian agreement is problematic. Ablyazov, who founded an opposition party, denies he defrauded the bank and says the charges are politically motivated. He will remain in French custody until an extradition hearing which is likely to be schedule in September.